Hello Friends ! 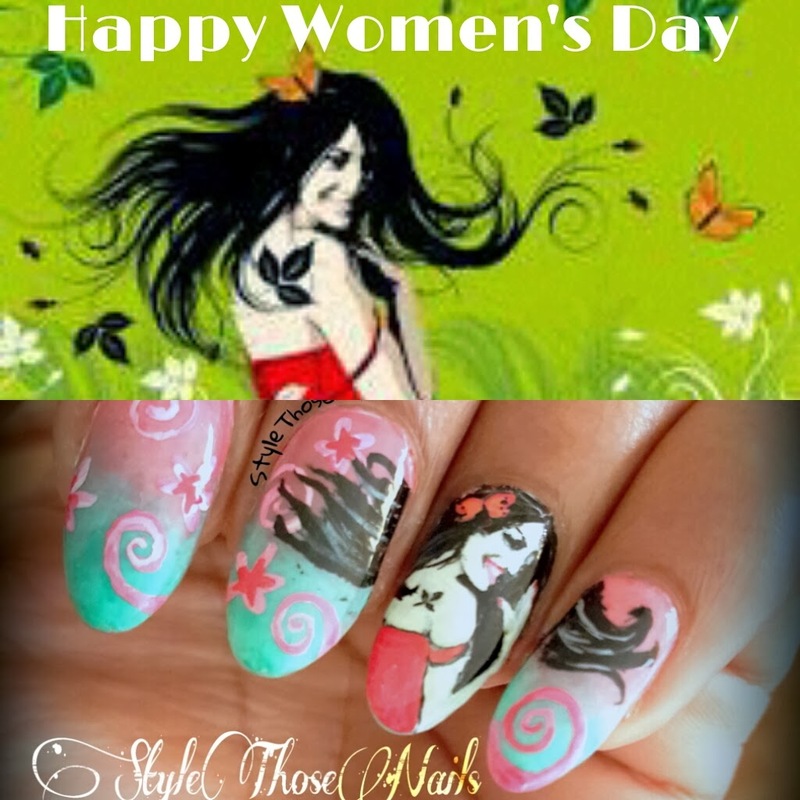 Happy International Women's Day to all Ladies out there. Feel special today because you are special. Womenhood is to celebrate ! 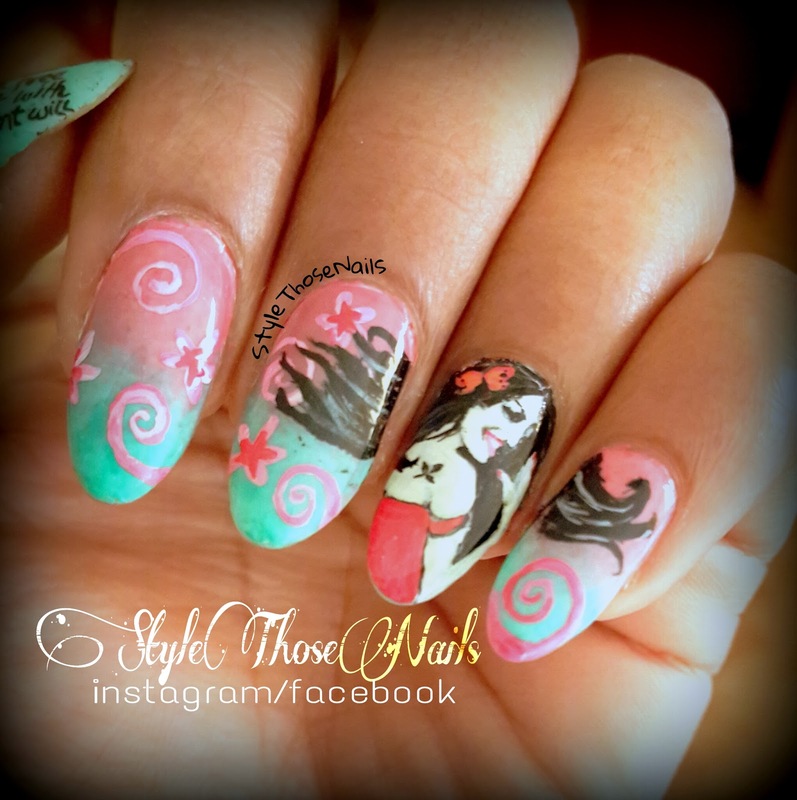 Here is my manicure for today. Check out my inspiration also here. This wall paper is my inspiration. 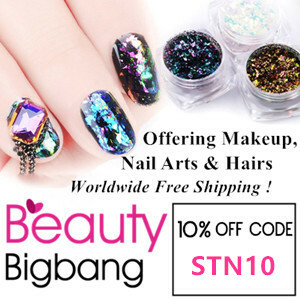 I feel like adding painted nails will give it more ME effect :D I like how everything turned out. I hope you like that too. I started with a pink and green gradient and then painted the lady and all details using thin brush and water based acrylic colors. 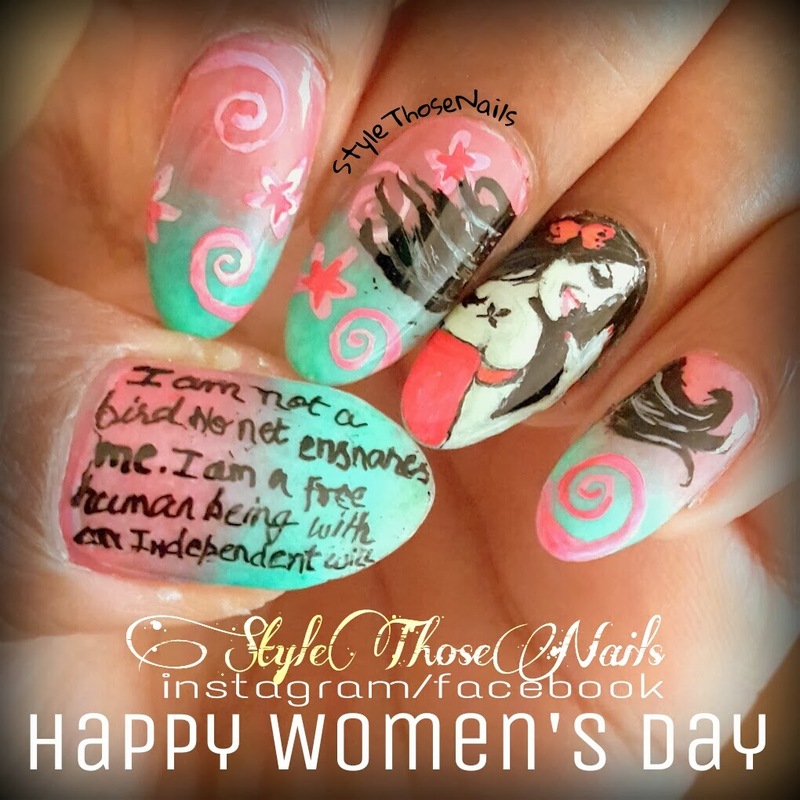 You can see more Women's Day Nailart on the pinterest HERE , follow our group pinterest so you can see more nail art in future. One more quote I love and can relate to all Women !! 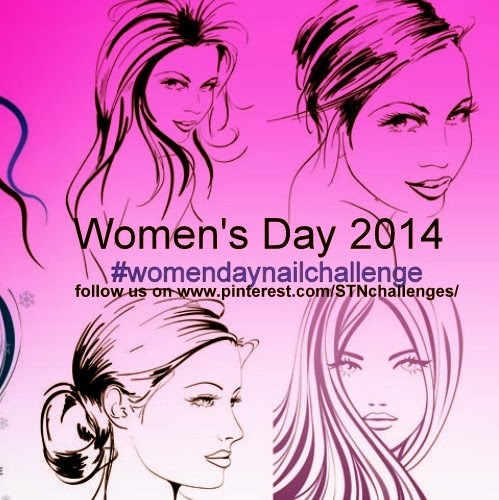 Follow StylethoseNails Challenges's board Women's Day Nail Art Challenge on Pinterest.